While I breakfast, I was playing around with the fisheye converter and my iPhone. 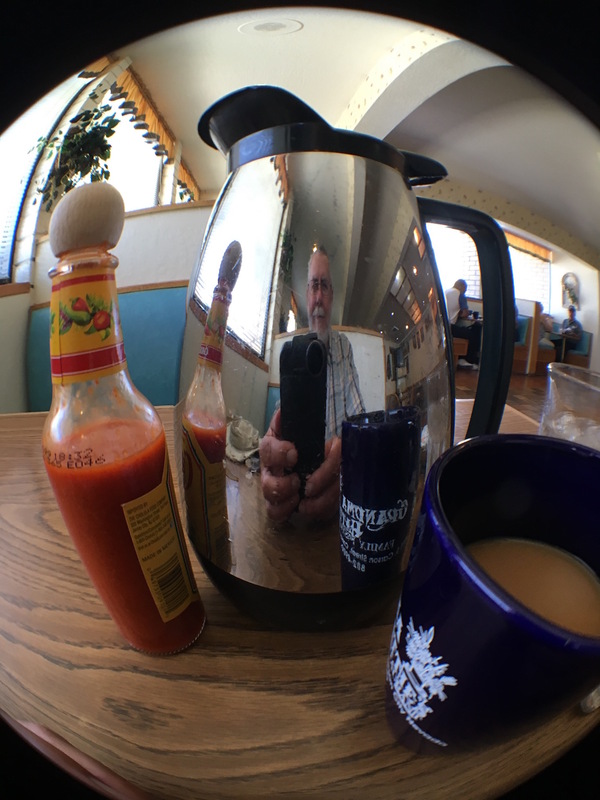 While at breakfast, I was playing around with the fisheye converter for my iPhone’s camera. I suppose I was bored, or just playing, but the result amuses me. So, here it is.